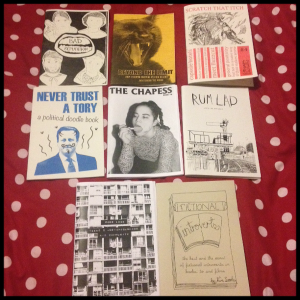 I had the best time on Saturday at Sheffield Zine Fest. I got my train at 8.50am so I was pretty sleepy but slowly woke up over the course of the journey. I rolled into Sheffield around 11 and as I was getting my bearings outside the station I heard my friend Lou call my name. I wasn’t 100% sure she was coming so it was great to see her. The Electric Works where the event was held was right opposite the station so was ideally situated for me (knowing little of Sheffield geography) However it did mean I saw nothing else of the city. I’d like to go back another time and have a proper explore. 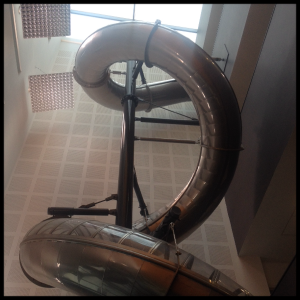 The main thing I want to say about the Electric Works is that THERE IS A HELTER SKELTER IN RECEPTION!! I can’t express how much glee this fills me with. More buildings should have built in slides or swings. The actual event had stalls spread over two rooms. My newest issue was for sale on the shared table at the entrance. 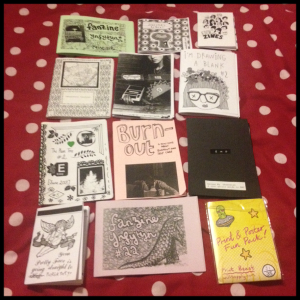 It was also the first official outing of the split zine I made about Indietracks with my camp mates – Ingrid and Sarah. I spent most of the day hanging out with lots of people I know and love as well as chatting to a load of other cool people that I’d love to stay in touch with (for anyone I excitedly rambled at – hi!). And of course, I went down the slide. 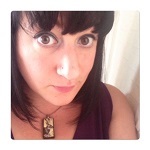 Ingrid snapped this super blurry shot of me. 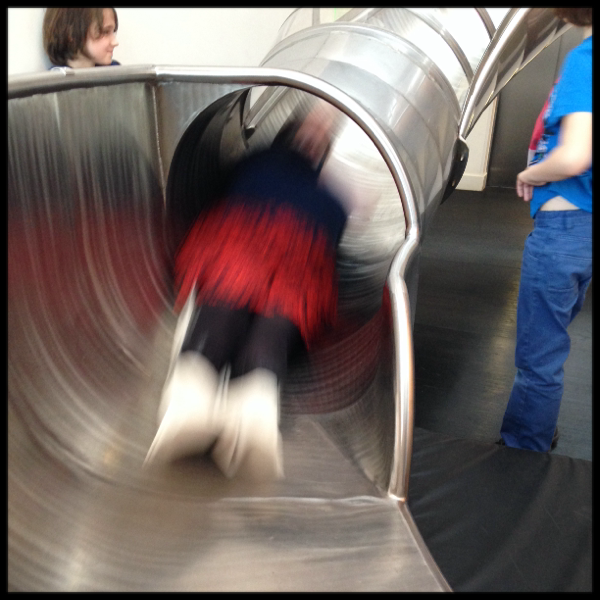 It was great fun, although the resulting dizziness meant I only went down once. I covered the Vampire Sushi Distro table for a while as Tukru was running a workshop. I wish I had gone to some of the workshops too as they had some great sounding ones but on the other hand, it was fun chatting to people who came to the stall. 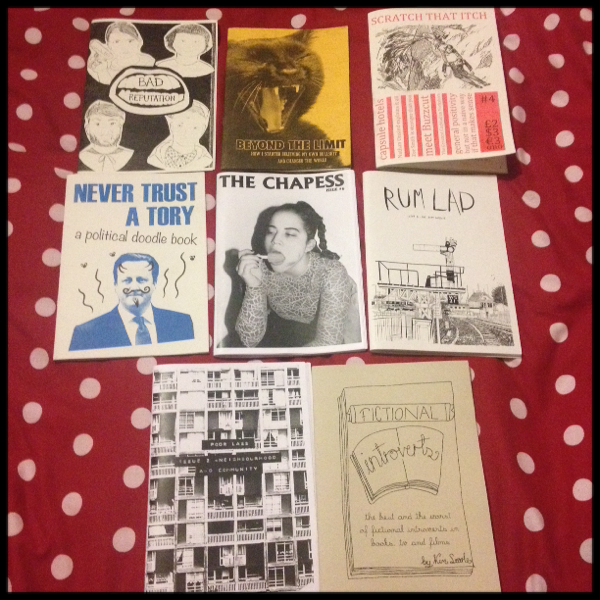 I started to read some of them on the train coming back but 1 or two of the zines that I started were SO good that I felt like they deserved a better setting for a first read than a messy train full of people swearing at each other. Instead I looked out the window, scribbled in my notebook, ate a vegan white chocolate Santa that Ingrid gave me and watched the sky change colour. At Tamworth, there was a moment where pink rays of lights from the setting sun burst through a patch of cloud and made me wish my phone battery hadn’t died. I can still remember it though and I can remember feeling really really contented and peaceful. On days like this I feel so happy to be me, living my life. I’m excited for the Northwest Zine fest in May now. 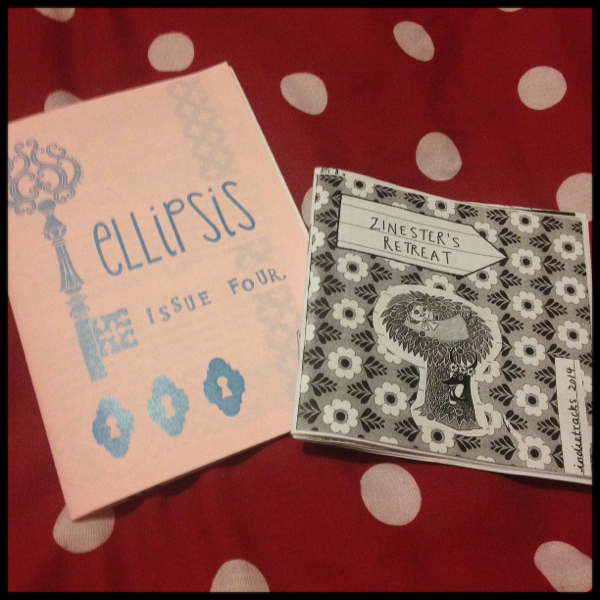 I’m feeling full of inspiration at the moment so I may even have another zine out by then.